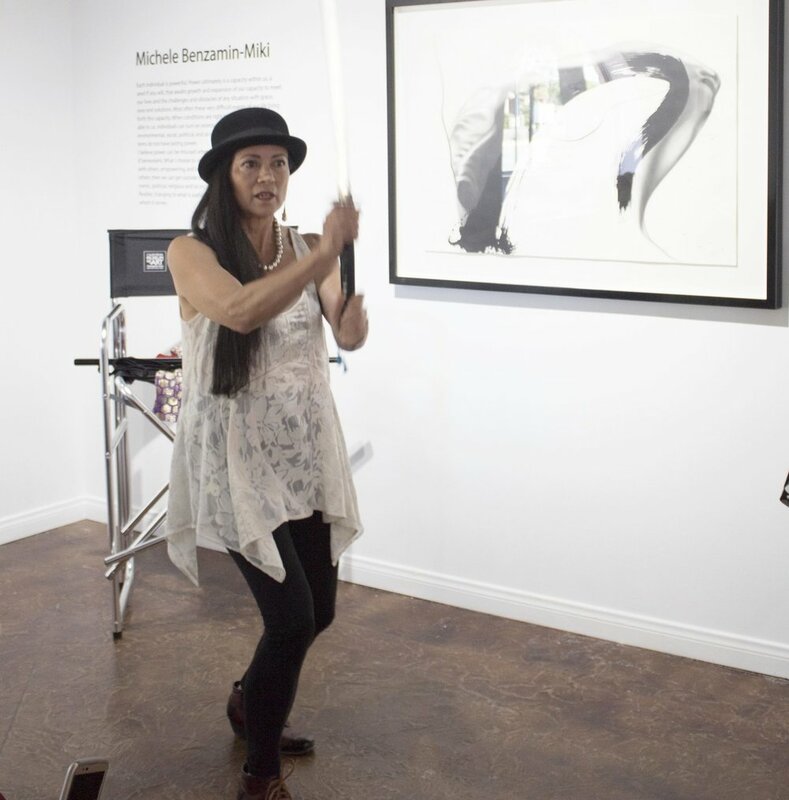 Michele will take in hand her Japanese sword and paintbrush in a Performance piece that portrays in poetic movement, her creative process in her visual arts. In the workshop she will take you through some of the meditations she uses before she paints, and guide you through some visualizations in order to access and evoke your inner resources and power. In these visualizations you will create your own imaginary sword and paintbrush, to help you cut through any obstacles in your creative process and life, and then paint a bright new and colorful picture for you to step into. There will be a Q&A afterwards. Michele is a visual and performance artist whose work is exhibited internationally. She integrates her art into her healing and personal transformation work, and has inspired and changed the lives of thousands of her students and clients by helping them utilize the power of their imagination. She has worked with conscious entrepreneurs, front line activists, gifted artists and visionaries of all kinds who are passionate about their work and have a strong desire to create positive impact in their communities and in the world. She is one the world’s highest ranking women in the martial arts of Aikido and Iaido Sword, and teaches both in the US and Japan. She has facilitated non-violence and diversity trainings, meditation, mindfulness, and creativity; for organizations, schools, within the prison system, and on reservations; for three decades. She has left a legacy of continued programs and education in those places. She has led transformational workshops, retreats, and trainings for over three decades internationally, and has a background in monastic training. She has taught and practiced hypnosis and NLP for twenty-five years. As someone of mixed Japanese and European heritage, she passionately believes that we can come into our beauty and power by thinking outside all the boxes that we have been squeezed into; and that authentic self-expression means crossing all the imaginary borders, to integrate every aspect of your life. Michele with her partner Caitriona Reed are co-founders of Five Changes as well as co-creators and stewards of the land at Manzanita Village Retreat.